Peer-to-peer transportation service Lyft has expanded its offering to include a new premium option. It’s called Lyft Plus and it’s designed to compete directly with rival Uber and their UberSUV service at a rate that is said to be around 40 percent cheaper. Lyft Plus will allow customers to hail a newer model Ford Explorer that has been modified by West Coast Customs with amenities like 20-inch sport wheels, universal phone chargers, ground-facing accent lights, diamond-stitched black leather seats, dark grey suede on the ceiling and a custom front grill. 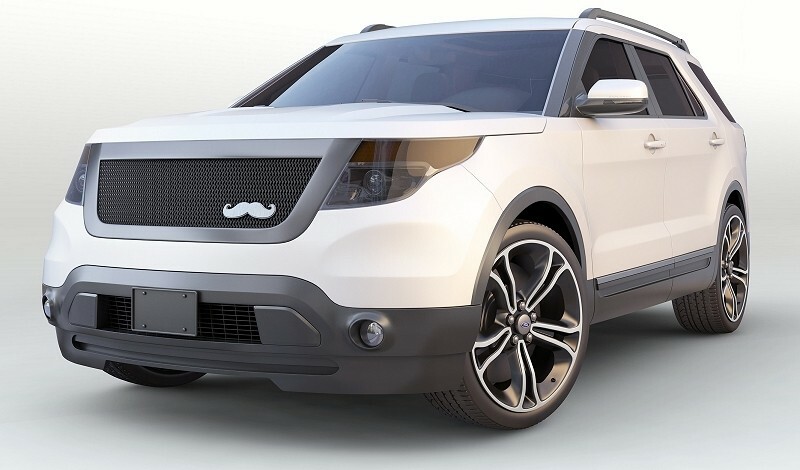 A small brushed steel mustache logo adorns the grill, replacing the gaudy looking furry pink mustache seen on regular Lyft rides. An SUV from Lyft will accommodate up to six passengers, all of which will enjoy complementary bottled water and chocolates. Lyft Plus drivers also have access to Spotify Premium accounts so they can queue up a wide array of tunes if you want to rock out during the trip. The service is expected to appeal to those looking to impress a date, a large group that wants to spend a night out without having to call for two taxis or someone needing a larger vehicle to transport luggage to the airport or move a large object. Lyft is rolling out the SUV service as part of a pilot program in San Francisco with more cities following soon.